The 1st half (Jan-June) 2019 KS UST Operator Training schedule is now on line and ready for you to register. Keep in mind that going forward from 2012 on, your certificate expires 4 years from the EXACT date you took the class. The Kansas Department of Health and Environment (KDHE) has a new requirement with regards to your UST Operator Training Certificate. Attendees in each class must now either fax (785-559-4260) or email (marcus.meerian@ks.gov) their certificate to KDHE after they have completed the class. In addition, they must also attach a list of facilities the certified person is responsible for. You can write them on the certificate or attach a separate list. UST permits expire every year on July 31st. A valid A/B Operator Training Certificate is required in order to get your UST permit. Don’t get caught being out-of-compliance!!! Check your certificate’s expiration date or call TMS to verify that your certificate is valid. If you took the class in 2012 or after, you need to re-certify every 4 years from the exact date you took the last class. TMS schedules 24 classes per year at locations all over Kansas. Classes are filling up quickly so schedule your class today. To find a class in your area go to our website at www.tankmgmt.net. If you have questions please contact Lori Desch-Ranallo, Education Coordinator for TMS, or Dixie Challacombe at 785-233-1414. The entire 2018 KS UST Operator Training Schedule is now on line and ready for you to register. Keep in mind that going forward from 2012 on, your certificate expires 4 years from the EXACT date you took the class. What Can We Do to Prevent Microbial Corrosion? Prevent Cross-Contamination Transport Store ULSD in dedicated tanker compartments if possible to prevent cross contamination with ethanol blended gasoline. Monitor daily for the presence of water in tanks, and conduct monthly walk-through inspections of dispenser cabinets, spill buckets, and sumps. Conduct Periodic Internal Tank Inspections At least once every three years remove drop tubes, ATG probes, the STP, and line leak detectors to check for the buildup of corrosion and the functionality of monitoring equipment. Minimize Stagnant Product in Tanks Emergency generator tanks and other tanks with low throughput are more susceptible to microbial growth as aged product degrades. The addition of appropriate stabilizers that contain antioxidants, biocides, and corrosion inhibitors may be necessary in these tanks. UST systems storing ULSD provide a favorable environment for microbial growth, especially when the fuel is contaminated with water or ethanol or other food sources for microbes. Microbiologically influenced corrosion likely plays a significant role in the prevalence of the corrosion seen in ULSD UST systems across the country. The corrosion of metal presents a risk to the functionality of metal components. Through aggressive water management and the implementation of simple best management practices, microbial growth can be effectively managed to minimize the risk to UST functionality. 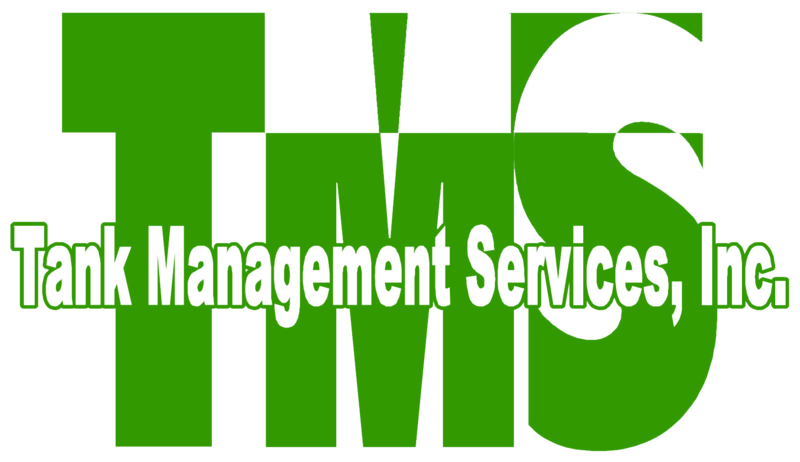 As part of the loss prevention program for the 3rd party liability insurance TMS annually conducts 150 UST facility inspections. The facilities are selected at random by region. As of this newsletter TMS has completed 26 of the 150 inspections for this year. The purpose of the inspection is to aid the operator in understanding what a UST facility needs to do to be in compliance. Here are the four most cited issues we find during our inspections. 1. Dirty spill buckets. Spill buckets need to be clean and empty for two reasons. 1st is because if product is released from the fill line there is enough room in the bucket to prevent it from spilling outside the containment. 2nd is it allows you and inspectors a clear view to see the bucket is not cracked or broken, preventing product from seeping into the soil around the fill area. 2. Level C training not completed or no record it has been completed available. Level C training for UST operators must be done before the clerk begins working and clerks must be retrained every year. Why is this so important? Clerks are usually the first to respond to any type of emergency that happens at a UST facility. It could just be telling a customer to fill their gas can on the ground instead of the tail gate of their pickup or calling 911 if a fire or spill occurs and evacuating everyone away from the area of a UST. It is all important. 3. No leak detection. USTs must have a passing tank test from either an automatic tank gauge (ATG), statistical inventory reconciliation (SIR) or groundwater/vapor monitoring. During recent inspections several facilities did not have their SIR reports back from the provider for January or February. Best practice is to have the inventory control for fuel sent off by the 5th of the following month and returned by the provider to you by the 10th. 4. Cracked spill buckets. We were surprised by this one. TMS has already found more than 10 broken spill buckets with one facility having all 3 buckets broken. As stated earlier, the spill bucket prevents product from spilling into the ground around the fill area. More the 50% of all contamination is found in this area. TMS sends out a inspection notice more than a week in advance of the inspection, telling the owner/operator the day we will be at the facility. The notice states what reports or documents we will need to see when we get there. If unattended facility we ask that the reports be sent to us. Kansas Department of Health and Environment (KDHE) requires all UST operators to be certified as level A/B operators within 30 days of taking over operation of a UST facility. If you took the class in 2013 or after, you need to recertify every four years from the exact date you last took the class. Below is a list of dates and location of the classes scheduled for 2017. You will find the full class schedule and registration on our website at tankmgmt.net. WHAT IS TANK MANAGEMENT SERVICES? TMS provides loss control and risk management assistance to UST owners who have third party liability insurance through Great American Custom as part of the Kansas Underground Storage Tank Liability Plan. TMS can provide you with information on USTs –leak detection methods, and Federal and State regulations. Call TMS toll free at 800-530-5683 during normal Central Time Zone office hours (8-5). In the Topeka area, please call 233-1414. On the web go to tankmgmt.net. David Engelken is available to answer your questions. This Service is free. Tank Management Services, Inc. (TMS) has provided the written information in this newsletter for educational purposes to assist UST owners and operators in complying with current UST regulations and to assist them in reducing losses associated with releases from UST’s. The information is an outline and may not be complete. Owners and operators are responsible to insure that they are in compliance with all applicable laws. The Kansas Department of Health and Environment can provide detailed information on compliance. The application or use of the information provided is the responsibility of the individual user. It’s time again for the Tank Talk Tour. These annual meetings provide AST & UST owners/operators an opportunity to gather new information on storage tanks, hear presentations on compliance and participate in an open forum with representatives of agencies which regulate ASTs and USTs. The 2016 Tank Talk meetings will include a presentation regarding the EPA's 2015 UST rules. KDHE and TMS will share information about the EPA rule changes for USTs and how they will affect you, the operator. TMS will review the UST facility inspection form and will present first three videos in their new Talking Tanks video series. The Fire Marshal will give information on compliance at fueling facilities and Weights and Measures will bring us up to date on fuel quality issues. Literature will be available for later review. Each meeting will conclude with-a-question-and-answer-period. . Although these meetings do not take the place of the mandatory operator training, they are a good place to learn more about USTs and ASTs, plus help make you a better operator. We hope you will join us at one of the seven locations for the 2016 Tank Talk Tour. Register on line at tankmgmt.net. Under Latest News click on Register For Tank Talk 2016 then click on the date or location you want to attend, or call 800-530-5683 /785-233-1414. Meetings will start at 1:00 p.m. and finish by 4:00 p.m. These videos demonstrate how to properly perform certain tasks required by KDHE. The internet address listed below each title will allow you watch the video on youtube.com. The 2nd half (July-December) 2016 KS UST Operator Training schedule is now on line and ready for you to register. Keep in mind that going forward from 2016 on, your certificate expires 4 years from the EXACT date you took the class. · That operators know how their UST system works, what to do in case equipment fails and what their responsibilities are. · That UST facilities are monitored daily and the necessary information is logged. · That the equipment used for overfill and leak detection functions. · That UST regulators are informed of changes at UST facilities. · That all parts of a UST facility get reviewed because most leaks are found by people and not equipment. Fuel dispensing systems shall be provided with one or more clearly identified emergency shutoff devices or electrical disconnects. Such devices or disconnects shall be installed in approved locations but not less than 20 ft or more than 100 ft from the fuel dispensing devices that they serve. Emergency shutoff devices or electrical disconnects shall disconnect power to all dispensing devices; to all remote pumps serving the dispensing devices; to all associated power, control, and signal circuits; and to all other electrical equipment in the hazardous (classified) locations surrounding the fuel dispensing devices. From: NFPA 30, 6.7 Emergency Electrical Disconnects. Why is this important? TMS has found during our inspections that some fueling facilities have been training their clerks to use the STOP FUEL button (it may be called something else on your POS) on the point of sale system (POS). This button is not an electrical disconnect; all the Stop Fuel button does is stop fuel from being dispensed. The electricity is still at the dispenser, the pump and the canopy; all parts that may cause a spark and a fire if fuel was released. If this is a manned location the button should be at the register. If not, Identifying all the breakers associated to the fueling system and canopy in the breaker box will work in some circumstances. Fueling facility operators must make sure that the facility meets code to keep customers and employees safe. By doing so it can save hundreds of thousands of dollars in insurance claims, attorney fees and maybe a life. HB 2192 created an incentive program for owners of single-wall underground petroleum tanks to replace those tanks with a secondary containment system. The incentive program will reimburse applicants no more than $50,000 per facility. The incentives will be paid from the Underground Storage Tank (UST) Redevelopment Fund, up to a maximum of $3 million per fiscal year. As part of this program, KDHE would waive the first costs of corrective action if contamination is discovered during the tank replacement. Essentially, this will waive the “deductible” a tank owner must pay before being eligible for UST Trust Fund moneys to assist with cleanup. b. that determines that petroleum contamination exists and the owner applies to the underground fund to perform corrective action to address the contamination. 5. Underground storage tank was registered with the department on or after May 1, 1981. For documentation on this UST program go to www.kdheks.gov/tanks/trust_fund/ust_removal_fund.htm. or call Gary Richardson at KDHE 785-296-1677. Kansas Department of Health and Environment (KDHE) requires all UST operators to be certified as level A/B operators within 30 days of taking over operation of a UST facility. Trained in 2010 or 2011 MUST RENEW BY DECEMBER 31, 2015. If you were trained in 2012 or after you must renew within four years of the EXACT DATE you were trained. You will find the full 2015 class schedule and registration on our website at tankmgmt.net. Information on level C training for all clerks and attendants may be found in the manual or on the CD received by A/B operators. A Level C certificate is available at tankmgmt.net. Mouse over the “UST Operator Training” button on the left side of the home page. A menu will appear, left click “Class C Certificate" then click on Level C Certificate. This will get you a printable certificate. All UST Level C personnel must be trained before they may begin working at the facility.